Can Gold Prices Be Manipulated? Is gold price manipulation a real thing or just another of those myths that have gained popularity in financial and investment circles? 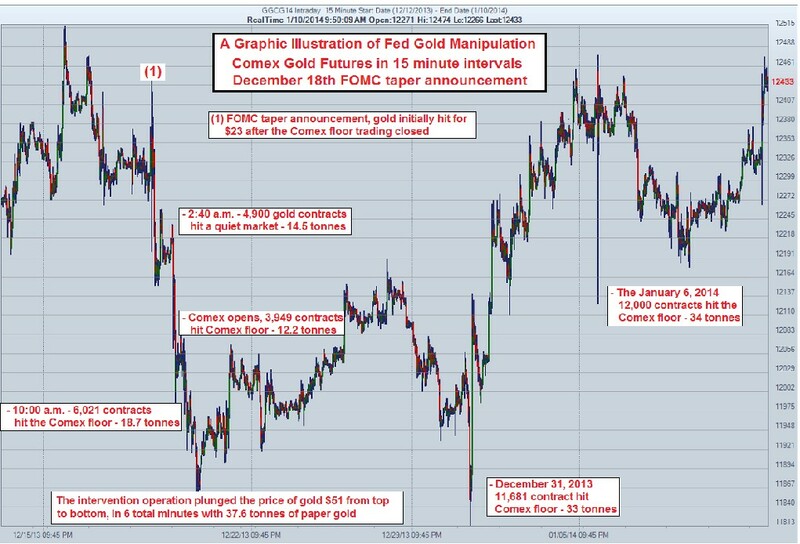 Manipulation in this context is defined as a purposeful effort to control gold prices. A section of gold investors believes that gold prices are systematically manipulated, generally downwards. There are several variations to the theory, but the general belief is that precious metals like gold and silver are under the thumb of central banks and other large banks, which use high frequency trading (HFT) as well as derivatives (aka naked shorts) to tamp down prices. There are also worries about discrepancies between paper gold and physical bullion in systems such as the London Bullion Market Association (LBMA) Gold Price. Then of course the media itself has its own conspiracy theories. While there hasn’t been that much academic research conducted on the subject, available empirical data suggests that gold price manipulation is possible on a short-term basis but not over the long-term. Paul Craig Roberts and Dave Kranzle, Institute for Political Economy fellows, high-yield bonds traders and founders of Golden Returns Capital LLC., provide pretty compelling evidence of gold price manipulation by the collusion of the Fed and several large banks. The two traders have claimed that the New York Comex exchange is the Fed’s primary venue of the Fed’s manipulation activities. The biggest Comex players include HSBC, JP Morgan and Bank Nova Scotia, which jointly account for a large portion of the exchange’s trading volume. Comex futures trading takes place through a system known as Globex which can be accessed by any trader with a computer-based futures trading platform. In addition to Comex, the Fed also manipulates gold prices in the much bigger London gold market where daily transactions exceed $24 billion. Selling naked shorts simply means that the Fed short-sells gold without first borrowing it or at least ensuring that the metal can be borrowed as is the usual short-selling practice. The Fed presumably does this to protect the dollar and enable banks to repurchase gold at lower prices. Messrs Roberts and Kranzle cite at least three instances when they were able to detect such suspicious activity on the Comex exchange. The first happened on Monday, January 6, 2014. After rallying $15 in the Asian and European markets, gold prices suddenly plunged $35 at precisely 10:14 a.m. after more than 12,000 contracts (more than 10 percent of the day’s trading volume) were sold in the space of less than 60 seconds. The volume of the sale is what gave it away as blatant naked short-selling--12,000 contracts represents 1.2 million ounces of gold, about three times the total amount of gold that was available in Comex vaults at the time. The style, too, is highly suspicious. A bona fide trader looking to sell a large position would normally try to carefully work off their position over an extended period to disguise their selling activity and also avoid interfering with prices as much as possible. The dumping of such a huge position in such a short period of time is a deliberate ploy to drive down gold prices. The gentlemen also cite another such activity--this time on Globex. Beginning December 18, 2013, huge volumes of Comex gold futures were sold in several waves via Globex immediately after the FOMC announced its decision to trim its bond purchases by $10 billion per month. The funny thing is that this happened at a time when the Globex computer trading system is least active. All this selling activity was done presumably to prevent the announcement of tapering from sending the dollar, stock and bond markets into a tailspin. To cap their argument, the pair points out that central banks have on several occasions failed to honor their obligations when called upon by nations at their time of their need, thus suggesting a depletion of gold bullion at their vaults. For instance in 2014, the Fed negotiated a seven-year timeline to ship back Germany’s 1,500 tonnes of gold, suggesting it did not have the full amount in its possession. Incidences such as these tend to lend credence to the selling of naked shorts theory. The report by Roberts and Kranzle appears elegant and pretty convincing. There’s a good chance that the heavy and rapid bursts of selling activity described here is the result of the Fed or other large entity trying to push gold prices down. What is highly doubtful though is whether any trader, the Fed included, could be able to sell naked shorts for any length of time. This is the case because such an activity would create a huge short squeeze with the trader buying in huge volumes (futures contracts and physical bullion) to cover their shorts, which would inevitably push gold prices up. 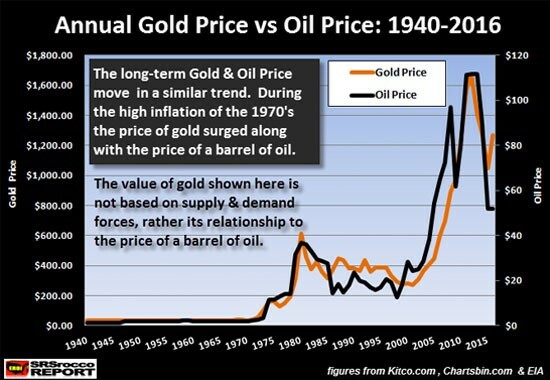 Over the long-term, empirical evidence suggests that gold prices are determined by global money supply, US trade/debt imbalances, central bank activities, interest rates and commodity prices (especially oil).